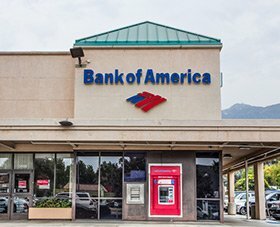 Cryptocurrency enthusiasts are reacting to news that Bank of America Corp. (NYSE: BAC) now sees the digital currency space as a threat to its business. In its annual 10-K filing, released yesterday, the nation's largest bank by deposits listed cryptocurrencies as a risk factor. The bank said crypto could affect its profitability and revenue levels in the future. While this isn't seen as a panic signal, it is a notable event for a company of its size. It shows that Bitcoin and other cryptocurrencies are being taken more seriously. Below is a recap of the top cryptocurrency prices at 2:30 p.m. EST. On Friday, the market capitalization of the global cryptocurrency sector hit $451.14 billion. Bitcoin represented 38.6% of the total cryptocurrency market, with a market capitalization of $174.4 billion. The best performers from the top 50 largest cryptocurrencies by market capitalization included Nano (up 44.34%), Ethereum Classic (up 13.91%), IOTA (up 10.35%), VeChain (up 10.32%), 0x (up 8.11%), Litecoin (up 7.61%), and Ripple (up 7.50%). The worst performers from the top 100 largest cryptocurrencies by market capitalization were Emercoin (down -4.01%), Dentacoin (down -2.94%), Kin (down -0.60%), and Veritaseum (down -0.60%). Two U.S. senators have spoken out against Venezuela's latest efforts to skirt economic sanctions. Sen. Bob Menendez (D-NJ) and Sen. Marco Rubio (R-FL) co-wrote a letter to the U.S. Treasury Department asking the agency to monitor cryptocurrency developments in the country. Yesterday, Venezuelan President Nicolas Maduro said his government raised more than $1 billion over two days. However, those claims have gone largely unconfirmed. The Petro is allegedly backed by the nation's large oil reserves. Must Read: What's the Best Cryptocurrency to Buy in 2018? However, it's hard to take the leadership at their word, given the fact that Venezuela is suffering from hyperinflation, and its energy sector remains in disarray. He wants to create a new currency backed by the nation's gold reserves (do they even exist?) called "Petro Gold." The news has both Iran and Turkey considering their own cryptocurrencies.